Tour I begins with the traditional Problem of Induction, then moves to Carnapian conﬁrmation and takes a brief look at contemporary formal epistemology. 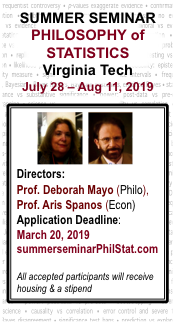 Tour II visits Popper, falsiﬁcation, and demarcation, moving into Fisherian tests and the replication crisis. 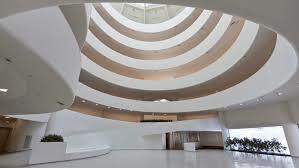 Redolent of Frank Lloyd Wright’s Guggenheim Museum in New York City, the StatSci/PhilSci Museum is arranged in concentric sloping oval ﬂoors that narrow as you go up. It’s as if we’re in a three-dimensional Normal curve. We begin in a large exposition on the ground ﬂoor. Those who start on the upper ﬂoors forfeit a central Rosetta Stone to decipher today’s statistical debates. Start with the asymmetry of falsiﬁcation and conﬁrmation. One black swan falsiﬁes the universal claim that C: all swans are white. Observing a single white swan, while a positive instance of C, wouldn’t allow inferring generalization C, unless there was only one swan in the entire population. If the generalization refers to an inﬁnite number of cases, as most people would say about scientiﬁc theories and laws, then no matter how many positive instances observed, you couldn’t infer it with certainty. It’s always possible there’s a black swan out there, a negative instance, and it would only take one to falsify C. But surely we think enough positive instances of the right kind might warrant an argument for inferring C. Enter the problem of induction. First, a bit about arguments. An argument is a group of statements, one of which is said to follow from or be supported by the others. The others are premises, the one inferred, the conclusion. A deductively valid argument is one where if its premises are all true, then its conclusion must be true. Falsiﬁcation of “all swans are white” follows a deductively valid argument. Let ~C be the denial of claim C.
(1) C: All swans are white. x is a swan but is black. We can also infer, validly, what follows if a generalization C is true. (4) If Pr(H1), .. . , Pr(Hn) are the prior probabilities of an exhaustive set of hypotheses, and Pr(x|Hi) the corresponding likekihoods. Data x are given, and Pr(H1|x) is deﬁned. The conclusion is the posterior probability Pr(H1|x). It can be inferred only if the argument is sound: all the givens must hold (at least approximately). 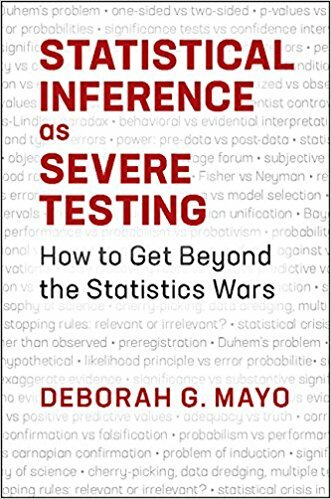 To deny that all of statistical inference is reducible to Bayes’ Theorem is not to preclude your using this or any other deductive argument. What you need to be concerned about is their soundness. So, you will still need a way to vouchsafe the premises. EI: All observed A1, A2, .. ., An have been B’s. Therefore, H: all A’s are B’s. It is not a deductively valid argument, because clearly its premises can all be true while its conclusion false. It’s invalid, as is so for any inductive argument. As Hume (1739) notes, nothing changes if we place the word “probably” in front of the conclusion: it is justiﬁed to infer from past A’s being B’s that, probably, all or most A’s will be B’s. To “rationally” justify induction is to supply a reasoned argument for using EI. The traditional problem of induction, then, involves trying to ﬁnd an argument to justify a type of argument! Conclusion: : EI is rationally justiﬁed, it’s a reliable rule. Premise 1: EI has been reliable in a set of observed cases. Premise 2: Methods that have worked in past cases will work in future cases. Yet to assume Premise 2 is true is to use EI, and thus, again, to beg the question. Another idea for the additional premise is in terms of assuming nature is uniform. We do not escape: to assume the uniformity of nature is to assume EI is a reliable method. Therefore, induction cannot be rationally justiﬁed. It is called the logical problem of induction because logical argument alone does not appear able to solve it. All attempts to justify EI assume past successes of a rule justify its general reliability, which is to assume EI – what we’re trying to show. But wait. Is inductive enumeration a rule that has been reliable even in the past? No. It is reasonable to expect that unobserved or future cases will be very diﬀerent from the past, that apparent patterns are spurious, and that observed associations are not generalizable. We would only want to justify inferences of that form if we had done a good job ruling out the many ways we know we can be misled by such an inference. That’s not the way conﬁrmation theorists see it, or at least, saw it. If H: all A’s are B’s, then all observed A’s (A1, A2, .. ., An) are B’s. All observed A’s (A1, A2, .. ., An) are B’s. The premise that we added, the ﬁrst, is obviously true; the problem is that the second premise can be true while the conclusion false. The argument is deductively invalid – it even has a name: aﬃrming the consequent. However, its probabilistic version is weaker. Probabilistic aﬃrming the consequent says only that the conclusion is probable or gets a boost in conﬁrmation or probability – a B-boost. It’s in this sense that Bayes’ Theorem is often taken to ground a plausible conﬁrmation theory. It probabilistically justiﬁes EI in that it embodies probabilistic aﬃrming the consequent. How do we obtain the probabilities? Rudolf Carnap’s audacious program (1962) had been to assign probabilities of hypotheses or statements by deducing them from the logical structure of a particular (ﬁrst order) language. These were called logical probabilities. The language would have a list of properties (e.g., “is a swan,” “is white”) and individuals or names (e.g., i, j, k). The task was to assign equal initial probability assignments to states of this mini world, from which we could deduce the probabilities of truth functional combinations. The degree of probability, usually understood as a rational degree of belief, would hold between two statements, one expressing a hypothesis and the other the data. C(H,x) symbolizes “the conﬁrmation of H, given x.” Once you have chosen the initial assignments to core states of the world, calculating degrees of conﬁrmation is a formal or syntactical matter, much like deductive logic. The goal was to somehow measure the degree of implication or conﬁrmation that x aﬀords H. Carnap imagined the scientist coming to the inductive logician to have the rational degree of conﬁrmation in H evaluated, given her evidence. (I’m serious.) Putting aside the diﬃculty of listing all properties of scientiﬁc interest, from where do the initial assignments come? Carnap has stated that the ultimate justiﬁcation of the axioms is inductive intuition. I do not consider this answer an adequate basis for a concept of rationality. Indeed, I think that every attempt, including those by Jaakko Hintikka and his students, to ground the concept of rational degree of belief in logical probability suﬀers from the same unacceptable apriorism. (Salmon 1988, p. 13). This program, still in its heyday in the 1980s, was part of a general logical positivist attempt to reduce science to observables plus logic (no metaphysics). Had this reductionist goal been realized, which it wasn’t, the idea of scientiﬁc inference being reduced to particular predicted observations might have succeeded. Even with that observable restriction, the worry remained: what does a highly probable claim, according to a particular inductive logic, have to do with the real world? How can it provide “a guide to life?” (e.g., Kyburg 2003, Salmon 1966). The epistemology is restricted to inner coherence and consistency. However much contemporary philosophers have gotten beyond logical positivism, the hankering for an inductive logic remains. You could say it’s behind the appeal of the default (non-subjective) Bayesianism of Harold Jeﬀreys, and other attempts to view probability theory as extending deductive logic. In getting new knowledge, in ampliative or inductive reasoning, the conclusion should go beyond the premises; probability enters to qualify the overall “trustworthiness” of the method. Hacking not only retracts his Law of Likelihood (LL), but also his earlier denial that Neyman–Pearson statistics is inferential. “I now believe that Neyman, Peirce, and Braithwaite were on the right lines to follow in the analysis of inductive arguments” (Hacking 1980, p. 141). Let’s adapt some of Hacking’s excellent discussion. When we speak of an inference, it could mean the entire argument including premises and conclusion. Or it could mean just the conclusion, or statement inferred. Let’s use “inference” to mean the latter – the claim detached from the premises or data. A statistical procedure of inferring refers to a method for reaching a statistical inference about some aspect of the source of the data, together with its probabilistic properties: in particular, its capacities to avoid erroneous (and ensure non-erroneous) interpretations of data. These are the method’s error probabilities. My argument from coincidence to weight gain (Section 1.3) inferred H: I’ve gained at least 4 pounds. The inference is qualiﬁed by the detailed data (group of weighings), and information on how capable the method is at blocking erroneous pronouncements of my weight. I argue that, very probably, my scales would not produce the weight data they do (e.g., on objects with known weight) were H false. What is being qualiﬁed probabilistically is the inferring or testing process. By contrast, in a probability or conﬁrmation logic, what is generally detached is the probability of H, given data. It is a probabilism. Hacking’s diagnosis in 1980 is that this grows out of an abiding logical positivism, with which he admits to having been aﬄicted. There’s this much analogy with deduction: In a deductively valid argument: if the premises are true then, necessarily, the conclusion is true. But we don’t attach the “necessarily” to the conclusion. Instead it qualiﬁes the entire argument. So mimicking deduction, why isn’t the inductive task to qualify the method in some sense, for example, report that it would probably lead to true or approximately true conclusions? That would be to show the reliable performance of an inference method. If that’s what an inductive method requires, then Neyman–Pearson tests, which aﬀord good performance, are inductive. Data + capacities of scales |=SEV I’ve gained at least k pounds. A very interesting post – thank you for that. Some readers might not be aware that a lot of progress was made on Carnap’s approach after the 1980s. 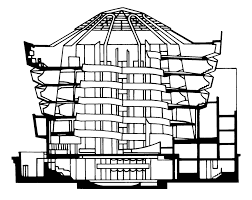 Paris and Vencovska (2015), Pure Inductive Logic, CUP, provides a detailed guide to the state of the art. I’m a bit sceptical about Carnap’s approach, but in my (2017) Lectures on Inductive Logic, OUP, I put forward a synthesis of a Bayesian approach and a frequentist approach to develop an inductive logic that, I suggest, achieves much of what Carnap set out to do. Thanks for your comment. I agree the Bayesian can detach the probability of a hyp. It relies on an exhaustive set of hypotheses, which is why many if not most Bayesians prefer to stop with a comparative claim. The problem remains assigning the priors. 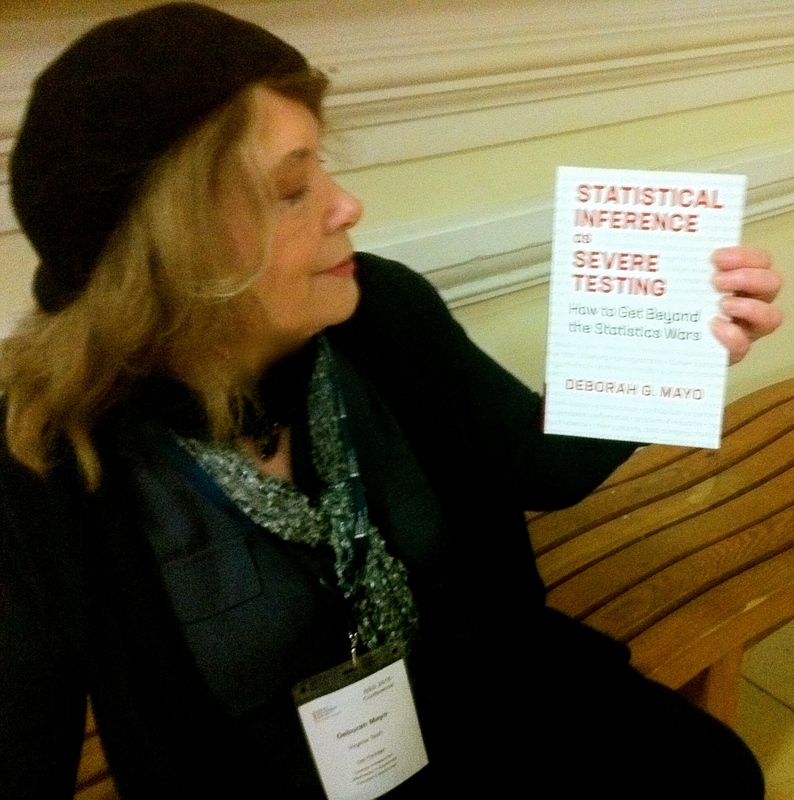 The kind of system you endorse, a default Bayesian assignment, is discussed elsewhere in the book. Here the main emphasis is to explain what an alternate view might be, starting from the position that probabilistic affirming the consequent is not a reliable way to proceed, unless one can rule out the flaws in moving from positive instances to generalizations or predictions. (Of course a lot can be hidden under utilities.) I’ll be glad to hear what you think of the more sustained discussion of default Bayesianism.